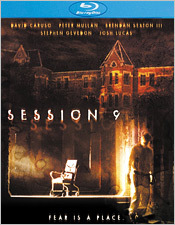 Session 9 was produced by USA Films and was released by Universal Pictures in 2001. Directed by Brad Anderson, who would go on to direct both The Machinist and Transsiberian, it’s also notable for being one of the first movies to be shot using high definition digital video at 24 frames per second. The story concerns a group of men from an asbestos removal company (David Caruso, Peter Mullan, Josh Lucas, Stephen Gevedon, and Brendan Sexton III) whom take on the mighty task of completing work on the closed and abandoned Danvers State Mental Hospital in a single week. Rising conflicts between the men and playing tapes of a former mental patient’s therapy sessions eventually lead to strange occurrences and a strain on the relationships between the men as paranoia and something possibly more begin to set in. Session 9 is a very effective film, one that takes its time with its characters, setting them up for something bigger down the road. It’s filled with an enormous amount of atmosphere, due in no small part to having been shot almost entirely on location at the actual asylum. Because of this, almost no set design had to be carried out. Scattered papers, dilapidated corridors, dingy and peeling wallpaper, random items left behind, and graffiti only aided the cause. It’s also not a traditional jump scare kind of movie, nor does it rely on heavy gore. The score, which acts less like score and more like sound effects mixed with moody soundscapes, is also a key ingredient. While obvious comparisons to Don’t Look Now and The Shining can be made, the movie stands on its own two legs and does something a bit different. The ultimate conclusion to Session 9’s story is also something that can manage to catch viewers off guard. It’s not necessarily a story that you can figure out far ahead of time, especially since you’re on a journey with these men and what eventually happens to them by the end of their work week. It also leaves you with a sense of uncertainty. You don’t really get all of the answers, just some of them, and the rest are up to you to figure out for yourself. And while an additional subplot was cut from the final film, focusing the story solely on the five men, it does leave it a bit more open-ended. There’s a definite presence felt in the asylum that’s never fully explained, nor should it be. It just slowly works its way under your skin, leaving you with a definite feeling of unease. And while it received mostly mixed reviews upon its initial release, Session 9 is definitely a movie that’s worth reevaluating. It’s an effective and spooky horror film that relies on its location and its performances, both of which are very effective. The Blu-ray transfer of Session 9 features a presentation that’s quite excellent. As previously mentioned, it was shot in HD at 24 fps, which was a new thing at the time. A lot of natural light was able to be captured because of this, but unfortunately, it also captured a lot of motion blur in the images, giving it a very documentary-ish aesthetic. As that is baked into the original presentation, it won’t lose any points for it, but it’s something worth noting for those who haven’t seen the film before and might want to temper their expectations a tad. Everything else is stellar: strong detail and depth, beautiful hues, accurate skin tones, deep blacks, and excellent brightness and contrast levels. Shadow detail is a little lacking, and there’s some occasional aliasing, but again, it’s a part of the original photography. For the audio portion, there’s a single English 2.0 DTS-HD track. 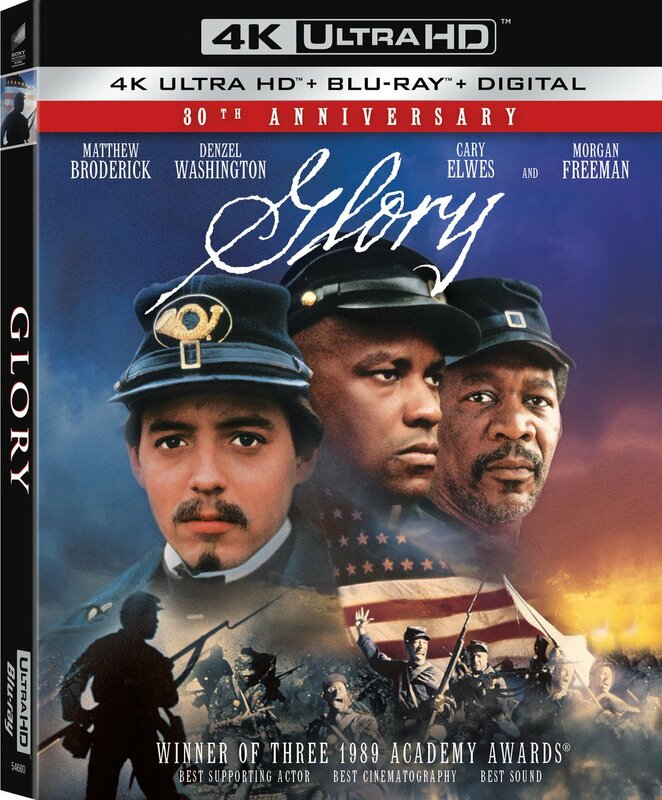 While a 5.1 presentation would have been very useful for a film like this, a stereo presentation is just as important. Dialogue is plenty audible when it needs to be and both score and sound effects roam subtly between speakers. It’s a very effective track overall. There are also subtitles in English for those who might need them. As for the extras, they include an audio commentary with director Brad Anderson; a new documentary, Return to Danvers: The Secrets of Session 9; a new Horror’s Hallowed Grounds segment with Sean Clark; a set of deleted scenes and an alternate ending with optional audio commentary by director Brad Anderson; Story to Screen, a side-by-side comparison with storyboards and behind-the-scenes footage; a vintage featurette, The Haunted Palace: The Ghosts of Danvers Hospital; and the original theatrical trailer. Session 9 is a film that, even though it has a small cult following, needs to be rediscovered by modern horror fans. It can’t be stated enough, but it’s the kind of film that doesn’t come along too often, which relies heavily on atmosphere and ambience rather than jump scares or gore. Those things can be fun, but something like Session 9 stays with you long after you’ve seen it. And Scream Factory’s release of the film is definitely the best way to experience that.